Winter’s a renovation project? About this time of year (early March), we in the upper Midwest wish it finished already. The contractor is taking too long. 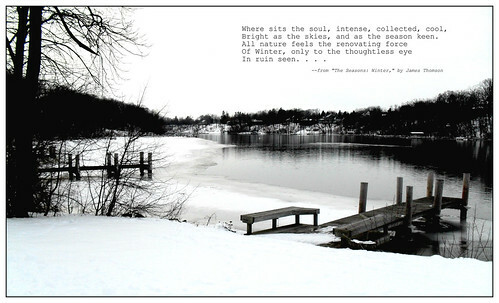 Yet, perhaps we see the wisdom of Thomson’s words: winter isn’t ruin, but, rather, a force for renewal. To which there’s a degree of truth (but only a degree). I feel so sorry for those of you living in the subtropics. Do you see what you’re missing? Shall we send you some renovation via a north wind? By the way, two to four more inches of snow predicted for tonight and tomorrow in Northeast Wisconsin (March when this photo was posted). Next week? Predicted temperatures in the 50s F. I think I’m sensing the completion of the project. In ruin seen . . . .